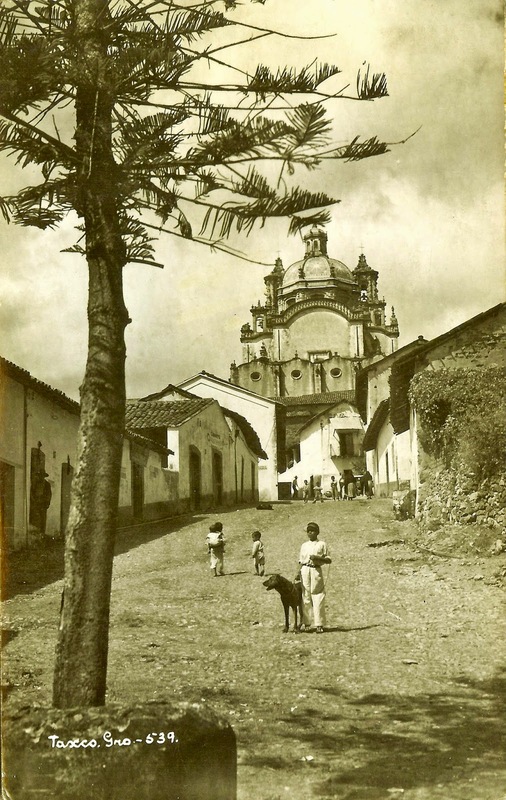 Taxco, 1937. From Benita McCormick’s scrapbook. Without having them here to share their itinerary with us today, we must rely on the postcards my great aunt and great uncle, Benita and Phillip McCormick, saved in their scrapbook from their 1937 vacation in Mexico to show us where they went and what they saw. Benita we called her “Aunt Detty” – an artist in her own right, had a keen eye for composition, and she chose her postcards carefully. 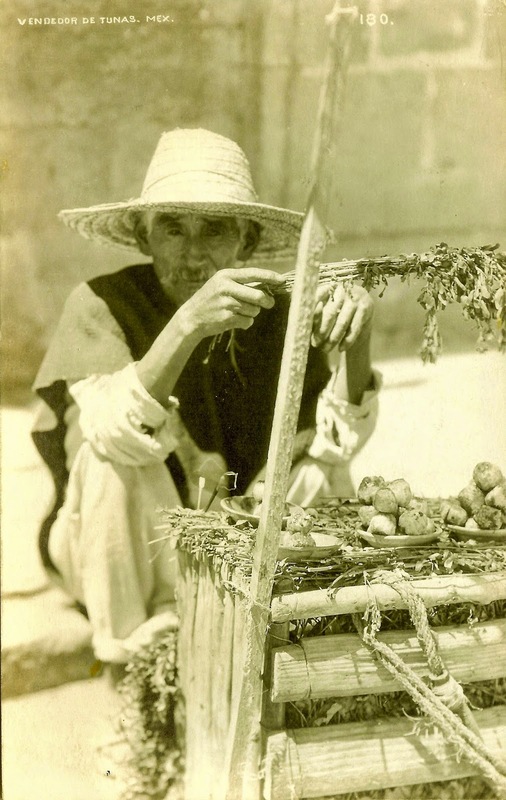 Each one in this collection is itself a photographic work of art, giving us a glimpse into the much simpler life in some of the more rural areas of Mexico in the mid-1930s. 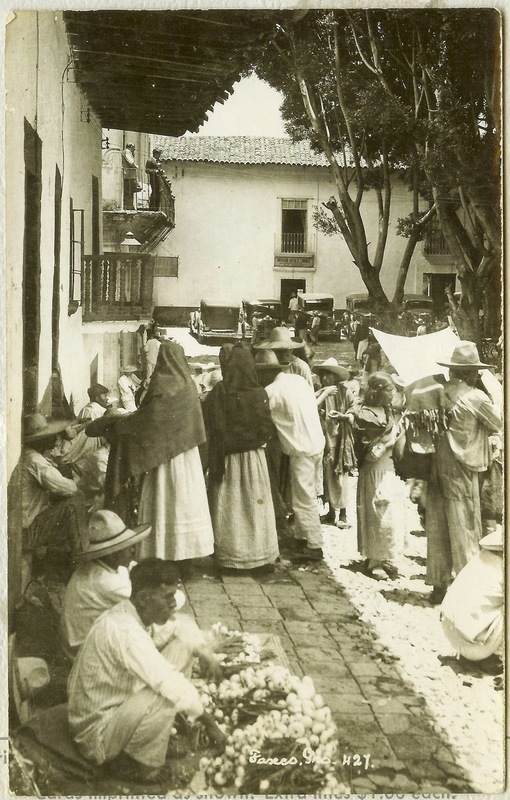 These postcards are of the mountaintop town of Taxco, in the southwestern state of Guerrero. Located about 100 miles southwest of Mexico City, Taxco is world-renowned for its silver mines and exquisite silver jewelry. Artists flock to the area to paint its picturesque colonial buildings, red tile roofs, and steep narrow cobblestone streets. It is easy to imagine Aunt Detty, sitting at an easel with a palette of watercolors in the town square, or zócalo, while Uncle Phil strolls up and down the hilly lanes of the town.